I present to you, dear readers, the most difficult thing I have ever made. 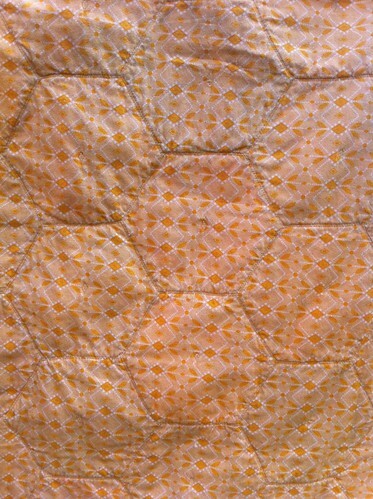 It is a quilt with velveteen hexagons on the front, bamboo batting, and flannel on the back. It looks pretty, I grant, but it is a monster. 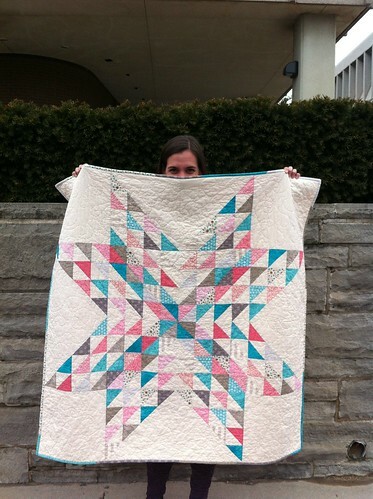 It took me nearly the entire weekend to quilt it, and I am still feeling it in my shoulder blades! The top wasn't too bad to put together.The velveteen frays like mad, and I should probably have gone with a 1/3" or even a 1/2" seam allowance. 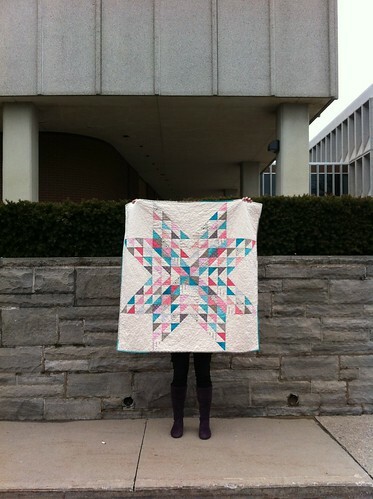 But I went ahead with the quilter's quarter inch. Afterwards, I seemed to remember that I had read a blogpost by Anna Maria Horner that warned of this - where are these insights when you really need them? 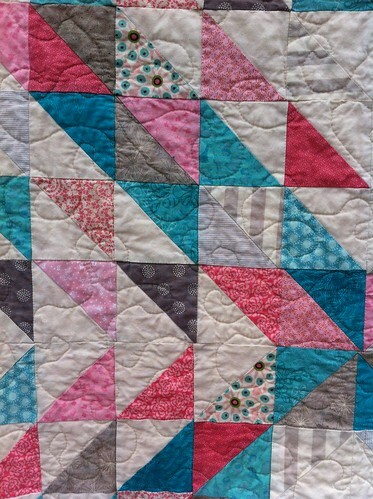 To ensure that the seams held secure during the normal usage of a quilt, I decided to stitch in the ditch using a wide zigzag. 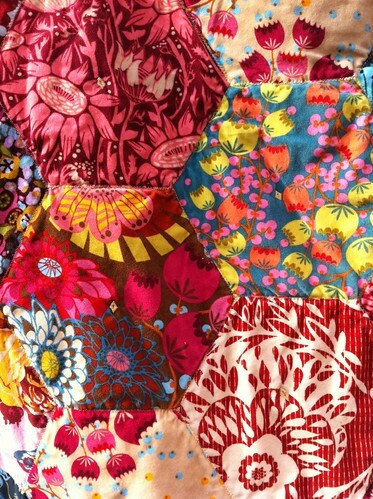 I was particularly concerned about the joins of the y-seams. 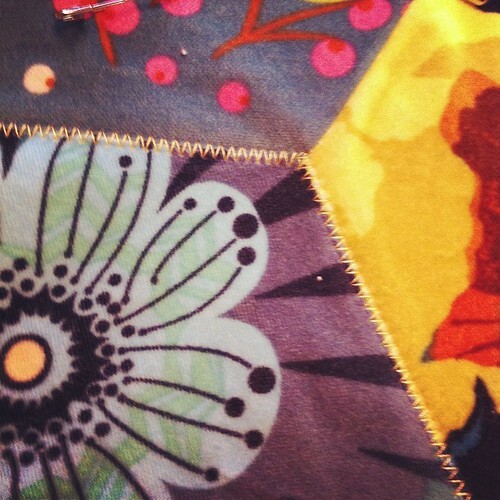 I used a yellow Aurifil 28 wt thread for this. Upon scrutiny post-wash and dry, the seams seem to have held up well. I do like the way the zigzags show up outlining the hexagons on the back. Oh my word! 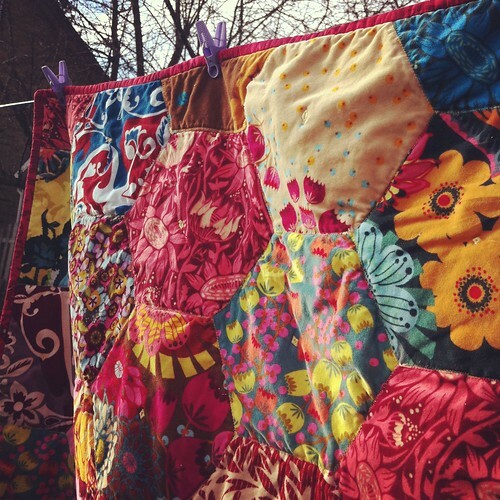 Muscling this through the quilting on my little Pfaff was something else! Hercules and his labours had nothing on what I went through. I really thought it was going to send me back to physio - my shoulders and back were on fire with the weight of it. I took a break after each row to stand upright and swing my arms. 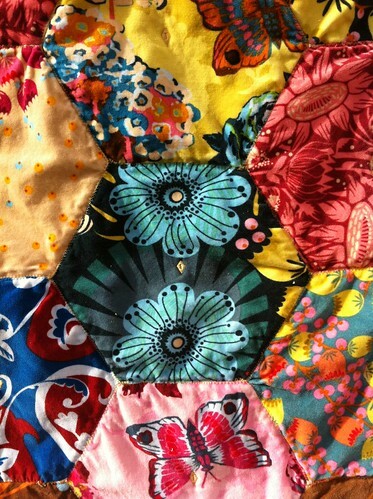 The hexagons are 9" across (I used the Marti Michel template to cut them) so I needed something to secure the centres. I thought about tying them, but decided to go with a decorative machine stitch. You can see if it you look closely in the centre of this hex. 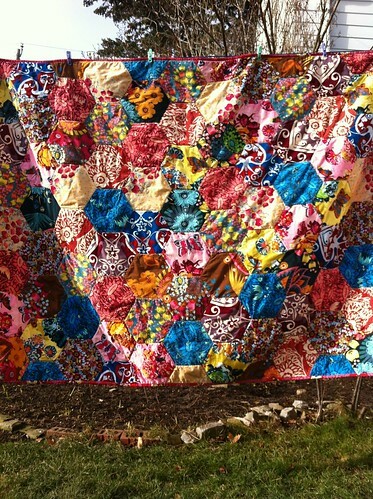 This quilting makes a nice and loose quilt, kind of floppy. It is a very strange shape, though. 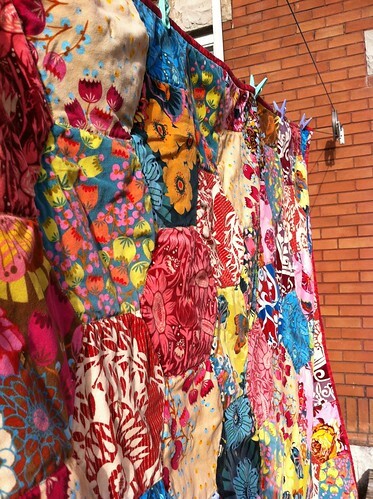 It's about 80" long and 50-odd inches wide (I have hung it sideways on the line in these photos). 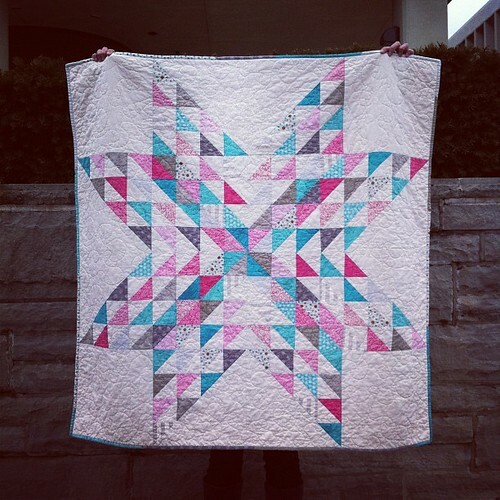 The velveteen, flannel and cotton binding are all from Anna Maria Horner, who happens to share the monogram of this quilt, A Monstrous Headache! 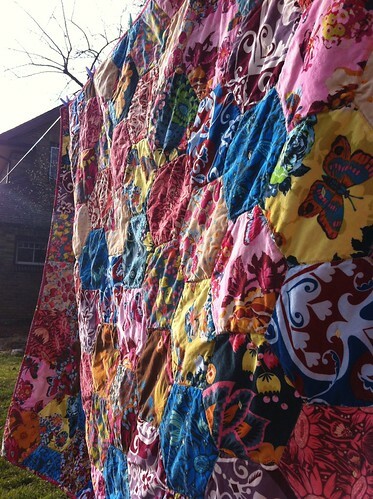 Truly, by the end of the weekend, I was ready to divorce this quilt. I had mentally projected all my ill will onto it and even once it was finally washed and dried, all fluffed up, I was still feeling hard done by. 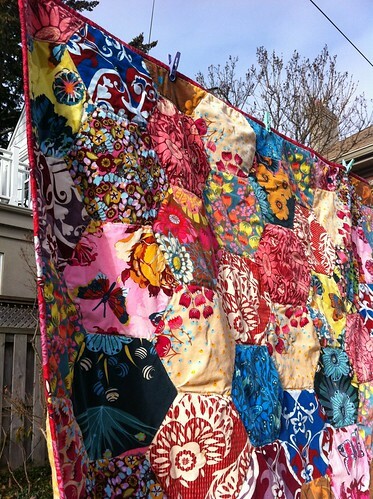 I was cranky about its odd shape and wondering what in the world had possessed a woman who is experiencing her own personal summer in the depths of Canadian winter to construct a quilt that weighs about 20 lbs. and heats up like a blast furnace! However, I am starting to come around. Even though I swore that we broke up on the weekend, I am beginning to feel that we were only "on a break". I think we might have a chance to be happy together, after all! What is "pinqua", you ask? Clearly, it is pink + aqua! 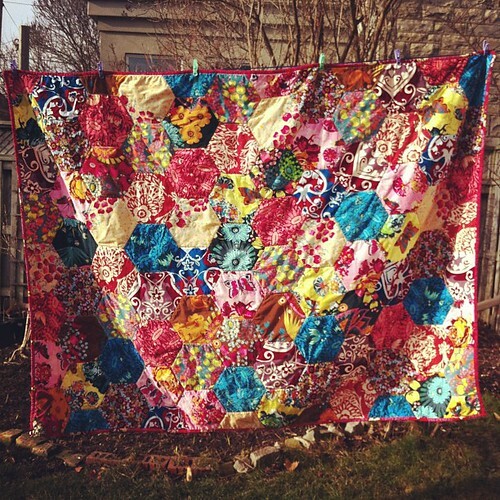 I'm so happy to have this baby quilt finished - it's 48" square, which is pretty big for a baby quilt, I guess. 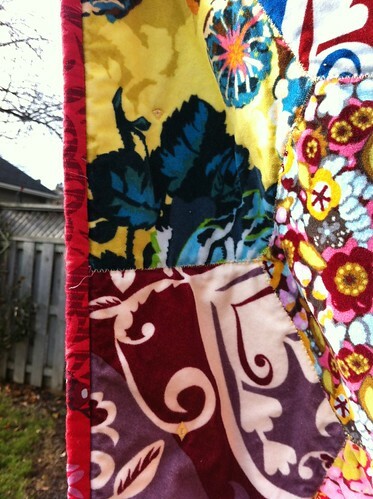 I quilted it with Aurifil 50 wt in big looping swirls so that it would be soft and floppy. 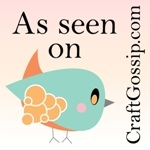 And I backed it with pink minky, so it is very luxe! I'd never used minky before, but it was fine. The best part was that it comes in 60" width, so I didn't have to piece the back at all. 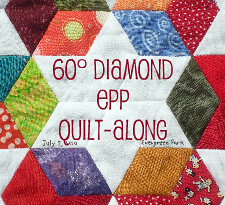 I found it a bit heavy to maneuver through the quilting process, but overall, no problem. 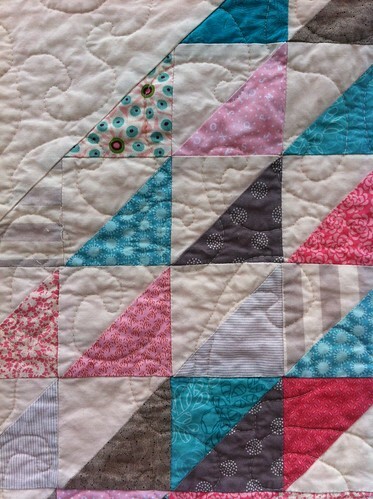 I used the leftovers from the FQs to make a pieced binding. Each strip averaged about a foot long - what are the odds that at least one of those joins would end up on a corner? But the binding gods were smiling, and I dodged the bullet.